used at Major Gymnastics events and all British Championships. 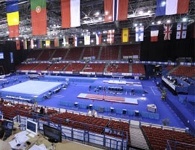 BG Score is an advanced electronic Scoring and Results service, available for use at any gymnastics event. The Scoring System enables all combinations of judges panels to enter scores quickly and accurately, using keypads which are linked directly to a central database. 42" three-sided scoreboard displays in the arena are linked to the judges panels ensuring all audience, athletes and officals can view results immediately. 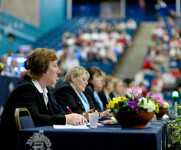 Instant video replay is available once a routine has finished enabling the judges to review the routines in case of any judging query. All videos can be incorporated within a specified corporate branded DVD to be received by the Organising Committee soon after the event. To use BG Score at your event please contact the British Gymnastics Events department on +44 (0)345 1297129 ext 2396 or [email protected] for further information. You can now keep up to date on the move with the new BG Score App available from the AppStore for all Apple devices, and from Google Play for all Androids. Individual score entry keypad with integral display for each judge, plus a touchscreen control terminal for the Head Judge. Video recording of all apparatus for instant judge replays using ‘JudgeCams’, with up to two camera angles per apparatus. 3 sided 42” LED screen scoreboard displays to show individual scores, interim and final results, sponsor/event logos and graphics. Printed score slip produced automatically after each routine. Telephone system for communication between Judges, Jury of Appeal and Event Control. Superior Jury control desk, including telephone communications with the Judges, video replay and score review terminals. On Venue Results facilities to produce hardcopy results, startlists, judges lists, participant lists etc. 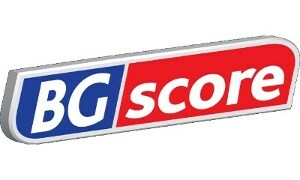 Which Major Events have Featured BG Score? See the BG Score facebook page for a full history of events! What events and disciplines can BG Score service? 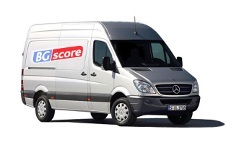 What does the BG Score Service Include? +44 (0)345 1297129 ext 2396 or [email protected] for further information.